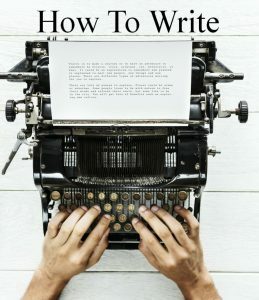 One of the best ways of learning how to write a book or how to write a thesis is to read other people’s writing and tips. You can find blogs written by professional authors in any genre, fiction, academic, technical, social all over the internet. These can give you writing prompts, help with outlines, and tips on many other areas pertinent to your preferred type of writing. Erica Verillo suggests that you join writing communities, where you can find like-minded writers. She says, “Google+ still has a great deal to offer writers in the form of communities. There are dozens of active writing communities on Google+, spanning everything from poetry, to self-publishing, to blogging. I’ve listed below the communities I have found most useful as a writer, but there are many more. You can find a full list of all communities here” ……. Read more.